Stree star Pankaj Tripathi will now be seen with Chris Hemsworth in the film Dhaka. Mumbai: Bollywood actor Pankaj Tripathi is on cloud nine, after bagging Ranveer Singh's 83. Now, the actor is all set to enter Hollywood too. Pankaj will soon be seen with Thor actor Chris Hemsworth in the film Dhaka. After giving amazing performances in movies like Newton, Gurgaon, Nil Battey Sannata etc, Pankaj has established himself as one of the finest actors in Bollywood. Now, he is going to be shooting for his first ever Hollywood. 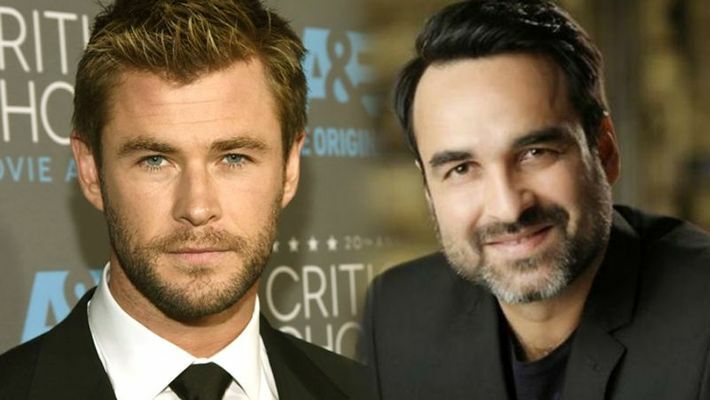 As per a statement, Pankaj will reportedly begin shooting with Chris Hemsworth. The Avengers star was in India last year to shoot for his upcoming thriller film Dhaka, directed by Sam Hargrave. The film also stars Golshifteh Farahani, David Harbour, Randeep Hooda, Manoj Bajpayee amongst many others and was majorly filmed in Mumbai and Ahmedabad. According to reports, Pankaj would be reaching Bangkok to join the cast in order to shoot the next schedule of the film. He would be seen in a pivotal role in the movie. On the work front, Pankaj is next to be seen in Luka Chuppi starring Kartik Aaryan, Kriti Sanon, Aparshakti Khurana among others. The movie is releasing on March 1.